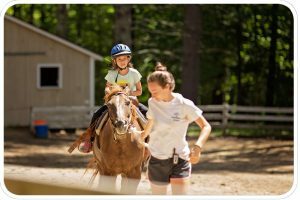 For over 80 years, Camp Quinebarge has been one of New Hampshire’s premier traditional overnight camps, within driving distance of Boston. Located just minutes off Interstate 93 in Moultonborough, Quinebarge is an easy, scenic, 2-hour drive from the Boston area. That’s just two hours from fun, friendship, and the summer of a lifetime. 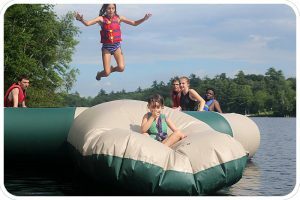 Quinebarge’s location on beautiful Lake Kanasatka is situated perfectly for ease of travel, both from the Boston area as well as to the White Mountains and all they have to offer. With the nearest hike under a mile away and many more within a short drive, campers at Quinebarge are able to enjoy offsite, outdoor activities without hours on the road, leaving more time for hiking, climbing, canoeing, playing, and enjoying the view from the tops of mountains. Group sports – baseball, kickball, soccer, flag football, ultimate frisbee, disc golf, basketball, volleyball, Gaga, badminton, cricket, rounders, lacrosse, dodgeball, floor hockey, and more! 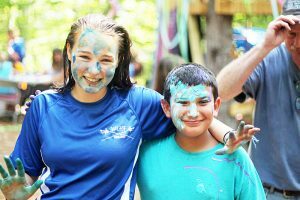 Whether campers attend Quinebarge for 2 weeks or 8, for 1 summer or for 10, they go home with fond memories and special friends, that they will cherish for a lifetime.